I'm honored to have a guest co-writer for today's review. My husband, Sean, is reading The 5 Love Languages for Men and agreed to give some insight and commentary into this review. I'm so very blessed to have a helpmate like him. Just think, you could win a copy of this book--see the entry form below. It's a book worth trying to win! Sean & I were introduced to the book, The 5 Love Languages, 20+ years ago when we were first married. It revolutionized our marriage and we tell people it saved us from a divorce before there was ever any trouble. Turns out, I'm an Acts of Service kind of girl...Sean's a Words of Affirmation sort of guy. So I was spending all day showing how much I loved him, when he just wanted to hear something affirming like, "Thank you. I appreciate your help." He was complimenting me and thanking me, when I just wanted him to load the dishwasher. Once we learned to 'speak' each other's Love Language, our marriage was refreshed because we both felt loved in the way that means the most to us. The book is well organized and will really resonate with men. Not only do you learn what your wife's love language is, you will then be given instructions on how to speak that language to her, and speak it fluently. I really like the updated stories in this edition and the pictures are fantastic. 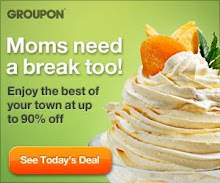 It really drives the point home in a visual way. The tips given are practical, realistic and easy to do . Even if you've read The 5 Love Languages before, it is worth your time to get this new edition. You and your wife (and your marriage) will not regret it. 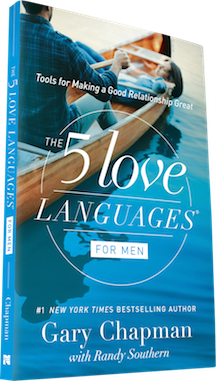 Enter below to win a copy of The 5 Love Languages for Men book. Open to the US and Canada. Best wishes! I enjoy that they are called "languages" because sometimes I feel we are on completely different pages when it comes to loving each other. This book (along with others on their site) sounds like it can assist in understanding each other more fully. I look forward to learning more.